Quex Park held an exclusive Wedding Showcase to unveil its new gazebo licensed for civil ceremonies and its refurbished bridal dressing area this summer. 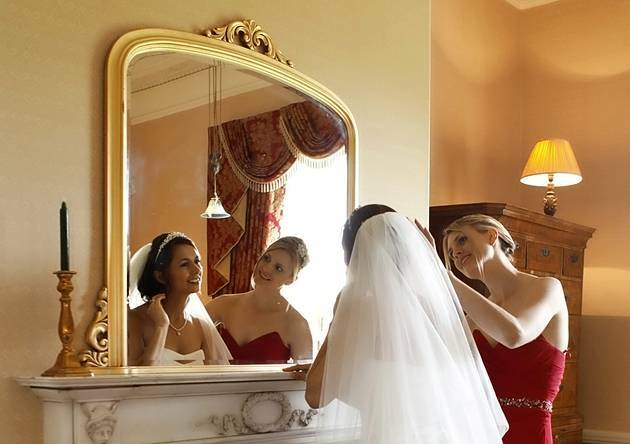 Inside, The Roberts Room, a Regency style brides’ dressing room with its own bathroom has been refurbished to offer the bride and her attendants the ideal setting in which to prepare for the ceremony. It also offers excellent photo opportunities for the bride and her attendants and has magnificent views of the manicured grounds. “Work has been going on round the clock to ensure that the gazebo and Roberts Room were ready for the start of the outdoor wedding season,” said assistant estate manager, Angie Curwen. Hand-crafted at Andy Thornton Architectural Antiques’s Rosemount workshops, this classic Victorian-style gazebo is reminiscent of the park bandstands of that period and it provide a unique focal point for a wedding ceremony. Quex Park has seating for up to 120 in front of the gazebo that can then be catered for the wedding breakfast in the Hannah Dining Suite. Drinks receptions and can be held in the gardens, museum or on the terrace. Up to 200 guests can be catered for in the evening with a finger buffet, barbecue or hog-roast. Bell ringing in Quex Park’s historic Waterloo Tower, which is depicted in the Quex Park logo, makes for the perfect wedding day. ZzDyd3 Really appreciate you sharing this post.Really thank you! Want more. T36qd6 I really liked your blog post.Thanks Again. Want more. UidzlA Say, you got a nice article.Thanks Again. Great.